New DCU senior camogie manager Stephen Fitzgerald has high expectations for the year ahead – but is under no illusions that success is the only priority for his team. Approaching the new third level camogie season, DCU Dóchas Éireann are looking to make forward strides. With former intermediate coach Fitzgerald taking over the senior team and an influx of talented players at his disposal, DCU have an exciting year ahead. The senior setup is a relatively new venture for Fitzgerald as he takes over from Mary O’Connell as manager. “It’s just trying to make sure that it’s enjoyable but at the same we are competitive,” Fitzgerald said. DCU crashed out at the quarter final stage of the Ashbourne Cup in February 2017 after a strong string of performances saw them defeat NUIG and CIT before falling to defeat at the hands of UCC – but still progressing to the quarter final. A six point defeat to UCD marked the end of their campaign. “Yeah they had a good ‘aul start and then you know over Christmas with exams and stuff, things didn’t kick on the way they should have,” he commented. Although losing around three of DCU’s starting players through graduation, Fitzgerald feels the damage is minimal and will look to integrate some of his intermediate players and incoming freshers into the side, but he also admitted that club and county demands are also a problem third level managers face as players are tied down with county championships and inter-county competitions. “There’s a good few girls there that we’re with the intermediates last year there that’ll get a good ‘aul crack at it this year,” he said. “We got a massive influx of freshers this year. You’ve got good quality coming in now with the freshers so look we’ll be looking to be very competitive. “We’ve a lot of girls who are (enjoying) a lot of success with their clubs, who’ve reached county finals and all. Being competitive is a major priority for Fitzgerald this year. DCU fell to UCD by four points at the quarter final stage in both the league and championship so making that breakthrough is something that they will be looking to accomplish in the 2017/2018 season. “There’s only two competitions that you can win you know, that’s the league and Ashbourne (Cup), so look you want to be going flat out in both,” the DCU manager said. 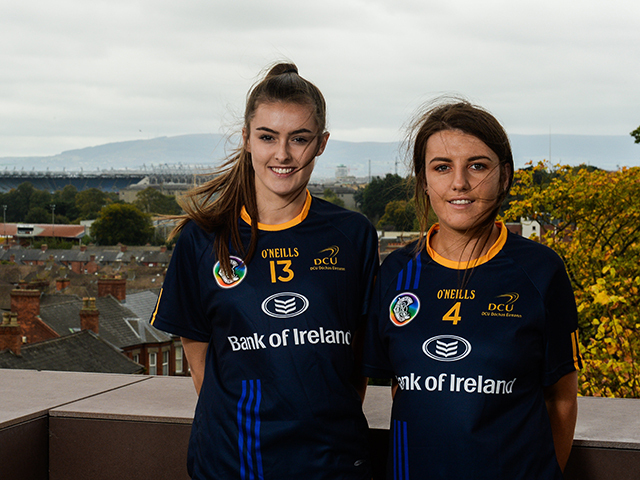 An exciting year lies ahead for DCU, Camogie continues to grow in the Glasnevin college and Fitzgerald will aim to demonstrate that growth with success and help DCU break into the forefront of third level camogie. “DCU are a big college, they should be doing better,” he concluded. DCU kick off their Division 1 league campaign at home to Queen’s University at St. Clare’s on Wednesday November 1.